This week we worked on the redesign of the spitting plant. The spitting plant is an stationary enemy. First it is shooting salves of bullets which makes it very difficult and sometimes impossible for the player to pass. But luckily, Tiny has his mighty hammer he can use to shut the plant up. Afterwards he has a short timespan before the plant spits out the hammer again and restarts firing bullets. Besides that we have 8 different rotated variations of the plant. They have slightly different bullet patterns as well - but we're still tweaking those patterns right now. When we carefuly place them the plants can throw Tiny's Hammer around to each other. We also have some interessting things and small puzzles in mind we can build with them. 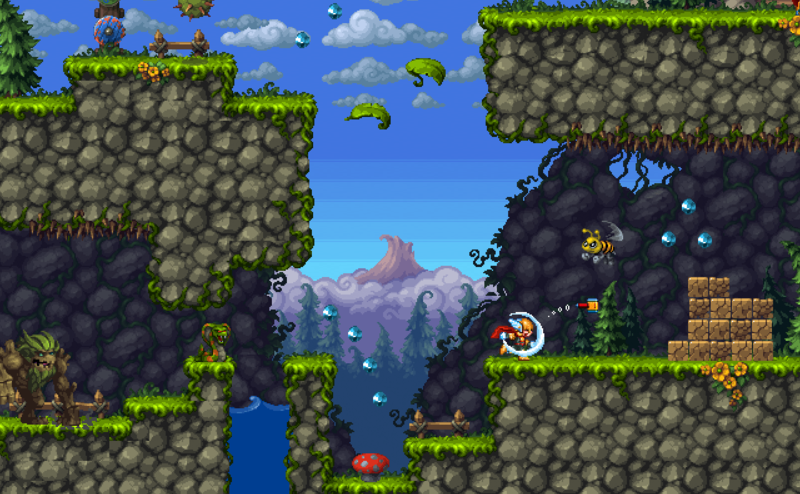 Steffen worked like crazy on new levels that are very fun to play. They still need playtesting and some tweaking but I think we're on a very good direction. So, thanks for reading and I wish you happy easter to all of you.